Out of context, the teaser video for Total Chaos looks like an interesting, moody horror game. The abandoned cityscape, ominous ambiance, and foggy alleyways remind me of the upcoming Nether in particular, which runs on Unreal Engine 3. The two games look pretty similar. Here's the crazy thing: Total Chaos is a total conversion Doom II mod. Total Chaos looks so much better than Doom II, you'd have no way to tell it's a mod just by looking at it. But if you listen closely (at 0:47) when the player steps off a ledge, you'll hear the familiar grunt from Doom's space marine. The mod's creator WadaHolic explains that Total Chaos doesn't run on the Doom 2 engine from 1993 proper, but a modified version of the original source code that brings in OpenGL, mouse looks and other features like 16x motion blur, high resolution textures, 3D models, and bloom effects. 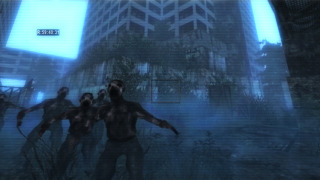 WadaHolic says Total Chaos is inspired by games like Stalker . It drops you on an island with a video camera, no guns, and asks that you'll navigate the dangerous, monster-infested environment with whatever tools you can find. He doesn't have a release date at the moment, but says that he hopes to have a Beta out near the end of the year. You'll need either GZDoom and Zandornum in order to run it.